Mystery macro revealed: It's a Braconid wasp! This week on Picture Wednesday I provided a challenge – you had to guess what’s pictured in a somewhat creepy-looking macro photograph. I got quite a few comments on Facebook and on the blog, so thanks everyone for playing! The guesses were nice and diverse – from a wet animal nose to deep sea angler fish, to dried bat skin (my favourite), to a fly, or something even smaller. Several people mentioned insects, wagering that this is a popular macro photography subject, and they were correct. It’s a zoomed-in photo of the wing attachments of a black Braconid wasp. You can admire the bug in its entirety in the featured photo above. 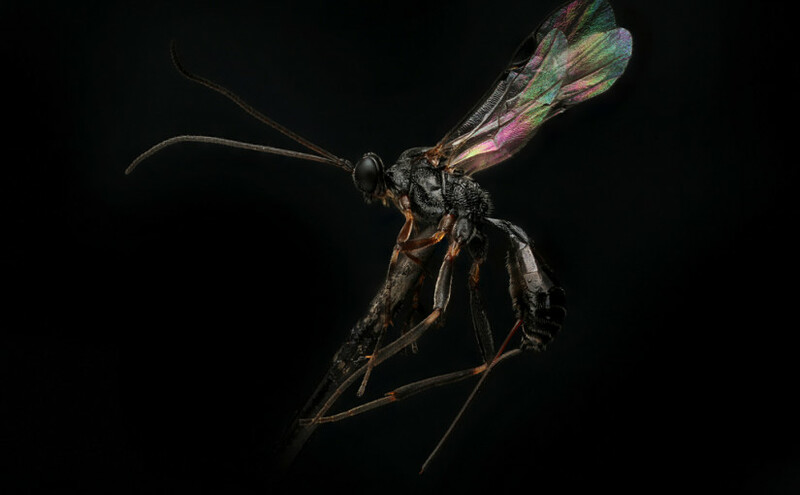 Braconidae is a huge family of parasitoid wasps, spanning tens of thousands of species, of which only 17,000 have been scientifically described. They are called parasitoid because they rely on a host organism for at least a part of their life cycle, but ultimately end up killing and even eating it, unlike true parasites which piggy-back on their hosts as long as possible. Whenever you see winged insects like these sporting a long, sting-like protrusion from their abdomens, you know you’re seeing one of the parasitoid species. The ‘sting’ is actually called an ‘ovipositor’, and is used for injecting the larva of other bugs with the wasp eggs, where they go on to develop into little baby wasps that often eat the host larva from the inside. Focus Stacking is also known as focal plane merging and z-stacking. It’s a digital image processing technique which combines multiple images taken at different focus distances to give a resulting image with a greater depth of field (DOF) than any of the individual source images can possibly provide. This technique is highly useful in science, because zooming into a focus-stacked image often allows to look at detail which is lost if you use a microscope. 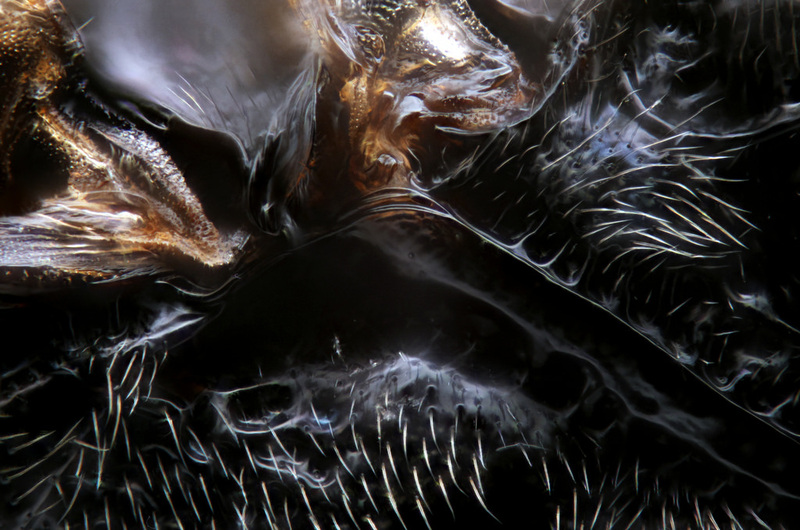 Macroscopic Solutions showcase their work on Flickr. They have a whole album on Hymenoptera, the order of insects that Braconidae belong to. There you can observe wasps and other critters at different levels of magnification. But if you want to look at something prettier, they also have algae, plants, sediment and other less creepy stuff. It’s a stunning collection. So, I guess Tim came the closest. And I was wrong for it’s larger than drosophila.